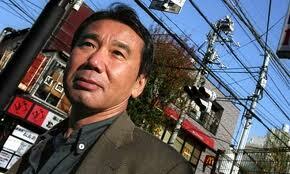 My 17-year-old son is a fan of Haruki Murakami and has read several of his novels. I've read his book about running, which I enjoyed very much. I also recently read "Norwegian Wood", which I didn't blog about at the time because I wasn't sure what to think of it. It seemed to be so foreign to me on so many levels: the setting and time were so specific, the main character was so unusual to me, and there was so much quiet sadness permeating the book. I should see the film, perhaps I would understand more. 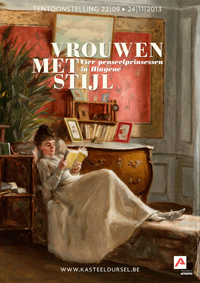 But the book certainly does seem to be much more appealing to a young man than a 40-something woman. In any case, my son had a copy of "Hard-Boiled Wonderland and the End of the World" here at home and so I decided to read it. It took me a long time to get into the book, but once I did I could not put it down. The book is actually two novels that alternate chapter by chapter, but the reader quickly realizes that the two seemingly disconnected stories are in fact connected to each other by one and the same narrator. The first half, "Hard-Boiled Wonderland", is a sort of detective story whereby the main character finds himself unwillingly caught up in a mysterious case of information theft and top secret research on the nature of human consciousness; and frighteningly enough, he discovers he is one of the guinea pigs - in fact, the only one who has survived the experiments that have been done on his mind. In the second novel, "The End of the World", we slowly discover a mysterious Town surrounded by an impenetrable Wall. The narrator is newly arrived in the Town and must learn all the strange customs. His Shadow is cut from him and imprisoned by the Gatekeeper who guards the Town, where no one is allowed to keep their Shadow or their mind. Our narrator is given the job of "reading dreams" in the Library where he is assisted in this by the young Librarian, whom he becomes attached to. His Shadow, however, is anxious for him to make a map of the Town so that the two of them can make their escape back to the real world. I won't reveal just how the two novels are connected, but I found myself impatient to discover how things worked in the Town (in some ways it made me think of the movie "The Village") and whether or not the narrator was going to be able to turn his precarious situation around at the end. If you enjoy a kind of dreamy science fiction novel with a touch of action-adventure and lots of references to food (I loved that the narrator made a dressing with umeboshi plums, among many other delicacies), music, movies, literature, whiskey, beer, cars and life in modern Tokyo, then I can recommend this book.